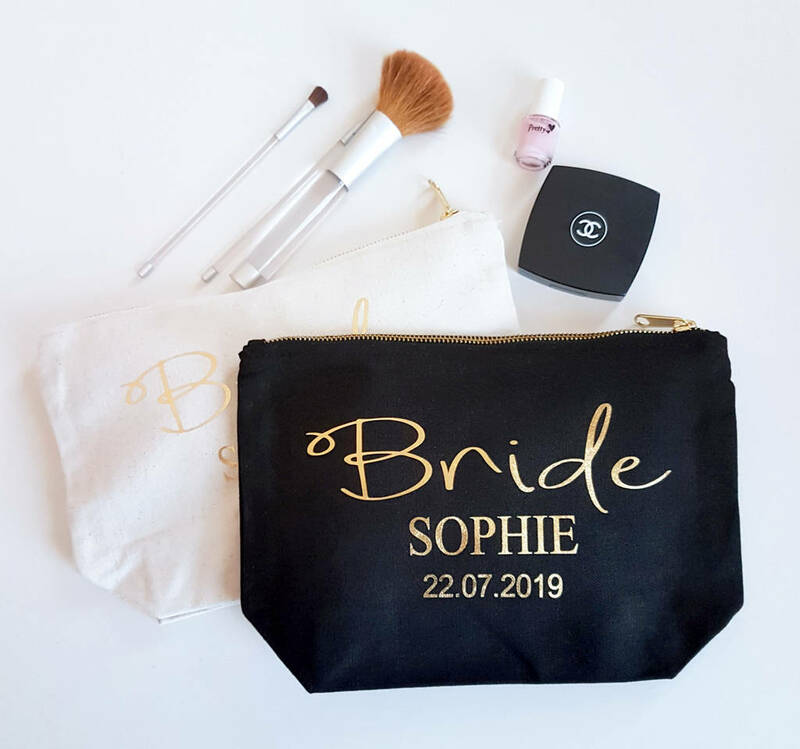 A pretty stylish canvas bag for Brides available in black or cream with a gold foil lettering! A gorgeous gifts for brides in the run up to and on their special day. 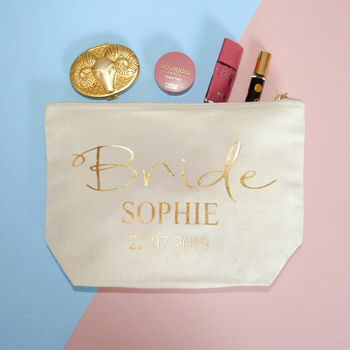 A great accessory for brides to hold their special make-up and essential items. 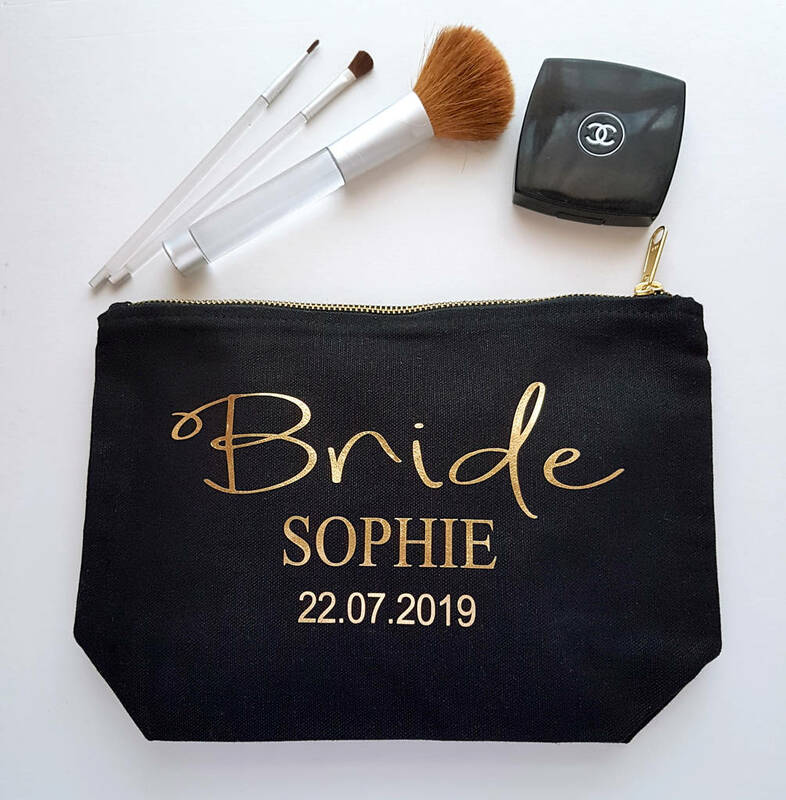 *See my other product listings for this case for bridesmaids, mother of the bride or groom and personalised name options. 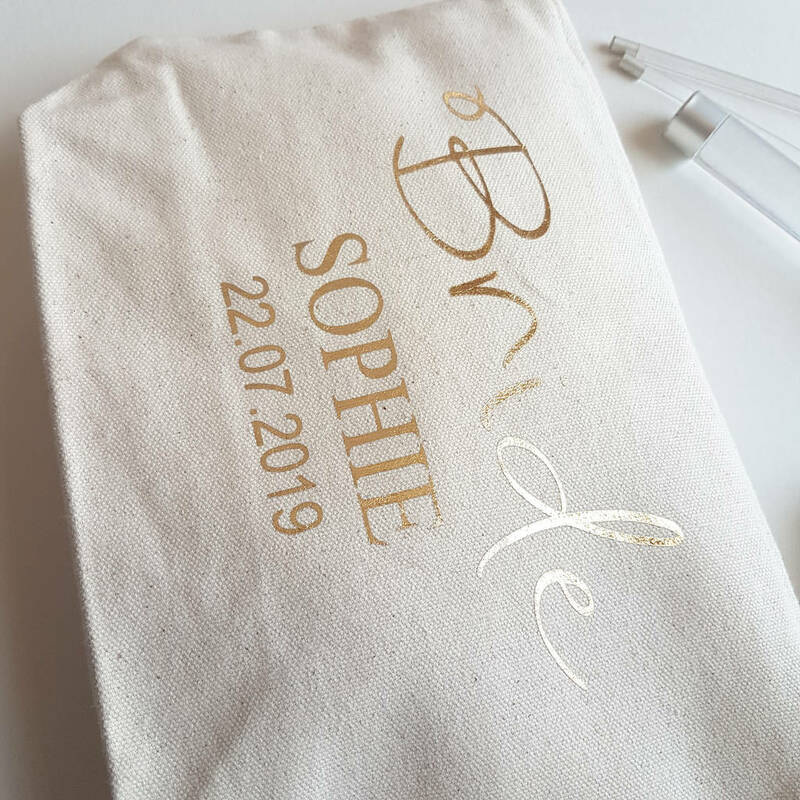 You can add the bridal title, bride's name and a date to this design. Please ensure the text you have entered is correct as it will be used for your design. 100% Brushed Cotton Canvas, bright gold coloured metal (nickel free) zip. This product is dispatched to you by The Best Of Me Designs.